Domestic equity markets continued their record-breaking spree, with the benchmark indices Sensex and Nifty closing at fresh record highs on Thursday. 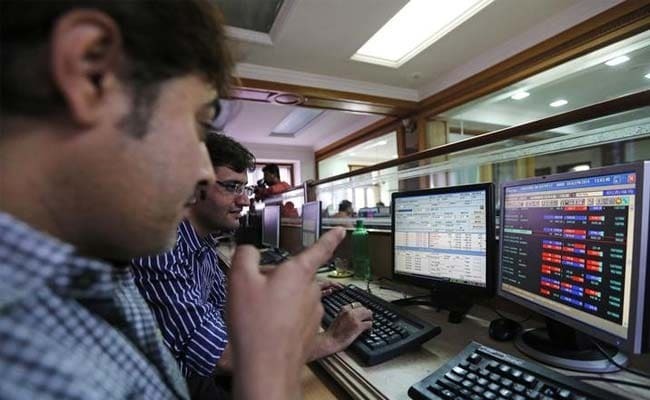 Advancing for a fifth straight session, the Sensex gained 126 points to close at 36,984 on Thursday – its first close above the psychologically important level of 37,000. The Nifty jumped 35 points to close at a record 11,167. The Sensex and Nifty hit life-time highs of 37,061 and 11,185 during the session respectively. Thursday’s upmove was led by buying witnessed in banking stocks on a day marked with expiry of derivatives for the month of July. Reporting of strong earnings by more companies along with easing concerns with respect to trade between the US and major economies boosted the markets, say analysts. SBI, ICICI Bank, Eicher Motors, Power Grid and Grasim Industries were among the top gainers on the 50-scrip index, closing between 3.5 per cent and 6.4 per cent higher. The Nifty Bank, the NSE’s sectoral indices for banking, and Nifty Financial Services indices, the index for financial services companies – jumped 1.4 per cent and 1.7 per cent respectively. PSU banks also soared, with the Nifty PSU Bank rising 5.5 per cent. Bank shares were boosted by more state-run lenders lining up to enrol for a scheme for faster bad-loan resolution. By Monday, more than 20 banks had signed up. A government panel had suggested creating an asset management company (AMC) to resolve bad loans above Rs. 500 crore ($73 million), among steps to clean up the banking sector. “The compromise reached between the US and EU on trade guided the markets. Locally, Indian markets derivatives settlement has seen huge short-covering,” AK Prabhakar, head of research, IDBI Capital told NDTV. Thursday marks the expiry of futures and options contracts for the month of July. Ambuja Cements advanced 7.6 per cent, a day after the cement major reported a 27 per cent increase in net profit for the April-June period. Bharti Airtel shares rose 2.2 per cent, ahead of release of earnings for the June quarter. Domestic shares also tracked their Asian peers after US President Donald Trump said he and European Commission President Jean-Claude Juncker had agreed to work to lower industrial tariffs on both sides. MSCI’s broadest index of Asia-Pacific shares outside Japan was up 0.2 per cent. Among the decliners, Larsen and Toubro closed with a mild loss of 0.8 per cent, a day after the infrastructure conglomerate reported a 36 per cent increase in June-quarter net profit. Previous Previous post: Are corn flakes with milk a healthy option for breakfast?